We’re very pleased to find out that we’ve been featured in The Sunday Times! In a long-form article published both in the newspaper and on the website, Billy Briggs explains the technical background in sail design that led to the development of the ACT Blade and presents opinions on our technology from leading industry figures. You can read the full article here. 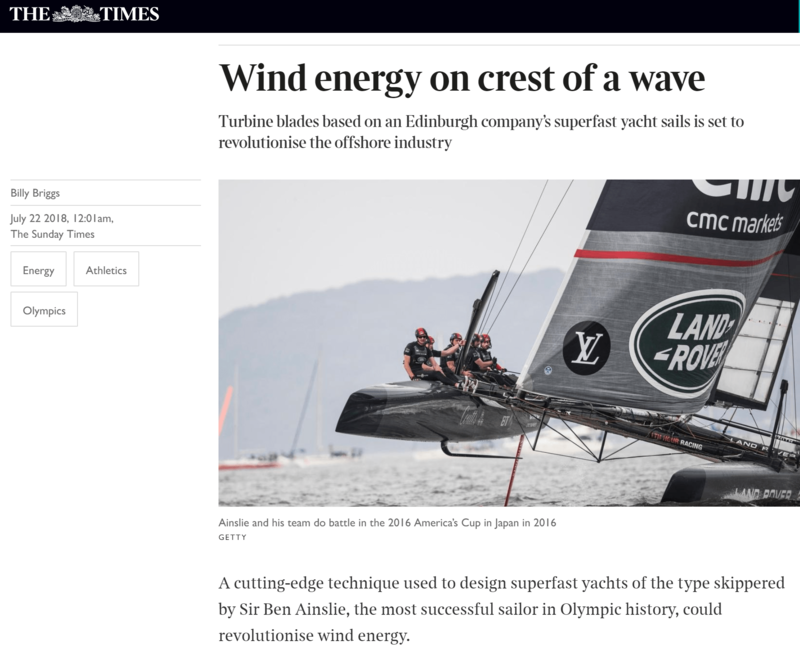 While the ACT Blade has already received a healthy amount of coverage from renewables publications, it’s very encouraging to see that a very respected newspaper such as The Sunday Times finds what we do here of interest to the wider British public. It’s also a good reminder that the state of renewable energy generation is no longer a fringe issue. People are becoming more and more aware of the impact we have on the environment, and recently-released government figures have revealed that general support for renewable energy is at an all-time peak, a stunning 85% of the population in Britain declaring themselves in favour of it (April 2018). The work we’re doing is important – improving the competitiveness of wind energy is key to the continued development of the renewables industry.